A new think tank finds the “democratization of terrorist recruitment” on social media is helping to create an increasingly diverse picture of Islamic-inspired extremism. On a Wednesday morning in December, Syed Rizwan Farook and his wife Tashfeen Malik put their 6-month-old daughter in the care of Mr. Farook’s mother and left the house for a day that would be burned into the history of terrorism on American soil. He met Ms. Malik on a Muslim dating site. She was born in Pakistan, raised in Saudi Arabia and studied pharmacology. Her traditional Sunni faith appealed to him. She came to the U.S. on a “fiancée visa,” a K-1. They married and lived a quiet suburban life until Dec. 2. Mr. Farook, 28, excused himself from the work party and returned a short time later with Ms. Malik, 29. Ms. Malik had posted on Facebook her loyalty to the Islamic State, or ISIS. Together, wearing masks and black tactical gear and wielding combat rifles and handguns, they opened fire on the party, killing 14 people and wounding 21 others. The San Bernardino shooting spree was the deadliest act of terror on American soil since 9/11, and while the bloodshed was horrifying, the circumstances weren’t a complete surprise to those who had been paying close attention to how violent extremism was taking shape in the United States. One day before the shooting, The New York Times ran this headline: “ISIS Followers in U.S. Are Diverse and Young.” The story detailed the findings of a report by GW’s Program on Extremism that painted a picture of American ISIS followers that this young, suburban couple fit into well. ISIS followers in the U.S. tend to be young, mostly male but increasingly female, the report found. They’re active on social media and are spread across the spectrums of race, age, class and background. The vast majority are U.S citizens or permanent residents. The report, ISIS in America, made headlines across the country and around the world. In the days after San Bernardino, it gained even greater attention as the nation struggled to understand how a seemingly mild-mannered couple, well integrated into American society, could be secretly planning a bloody attack. 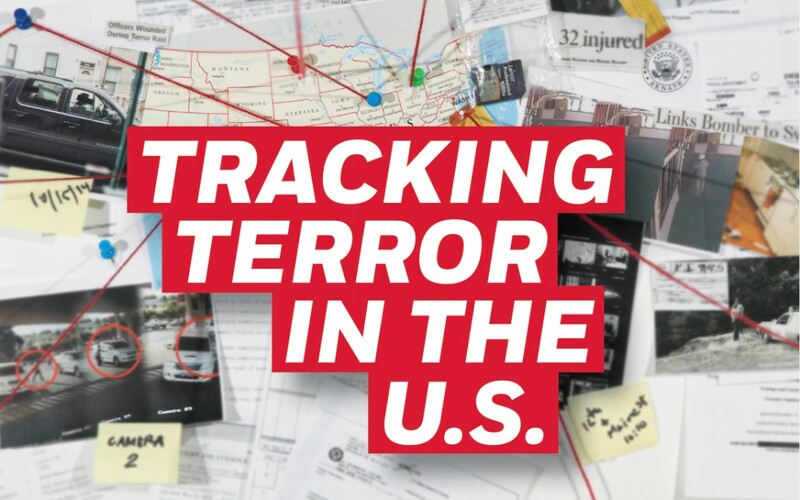 The tiny think tank in downtown D.C., in an office building upstairs from a fast-casual restaurant, became a go-to source for understanding domestic terrorism and how otherwise ordinary people become radicalized. Read the rest of the story in GW Magazine.